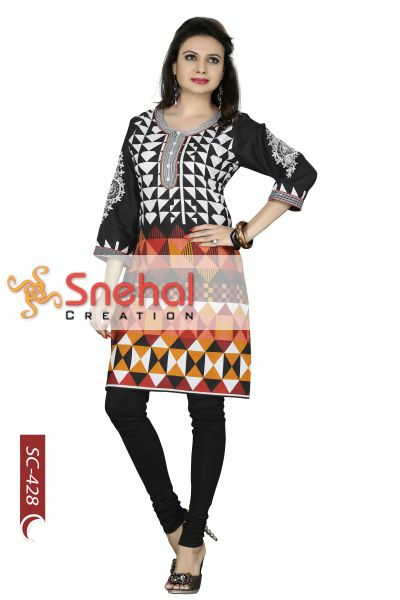 Being the -Reigning Queen- of fashion and style, this is one piece that is a must have for you. 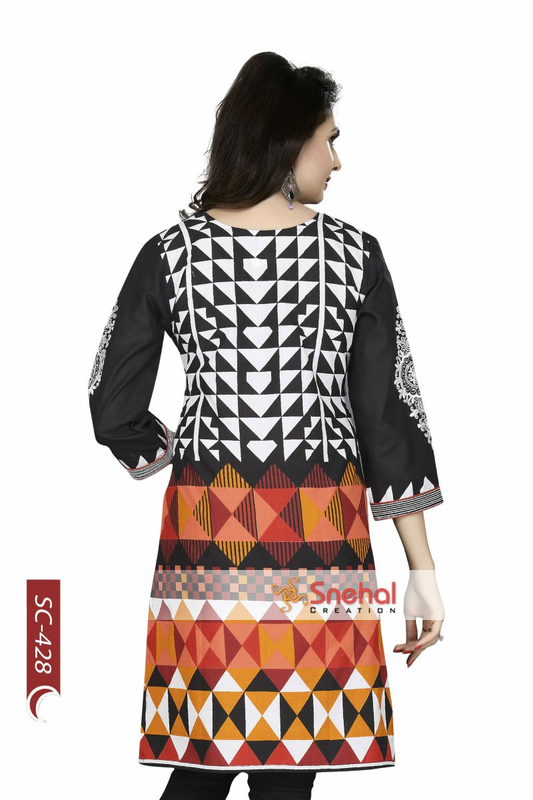 The ultra-chic tunic is a distinct yet appealing arrangement of geometric designs in black, white and various other hues to contrast. This cotton tunic come with a simple round neck lined by a kurta- patti and carries full sleeves with printed motif design in white on a black base. A separate base provides adequate finishing at the cuffs and other edges. Step up in the game of fashion in this unconventional piece.